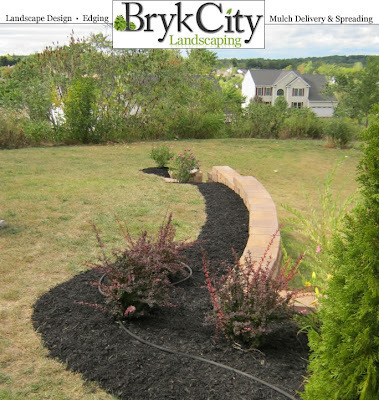 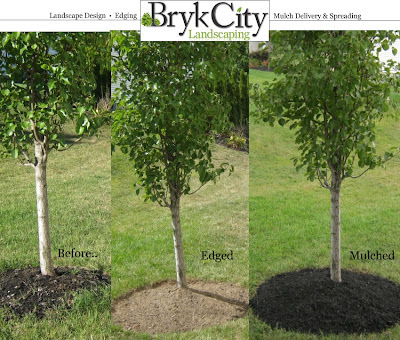 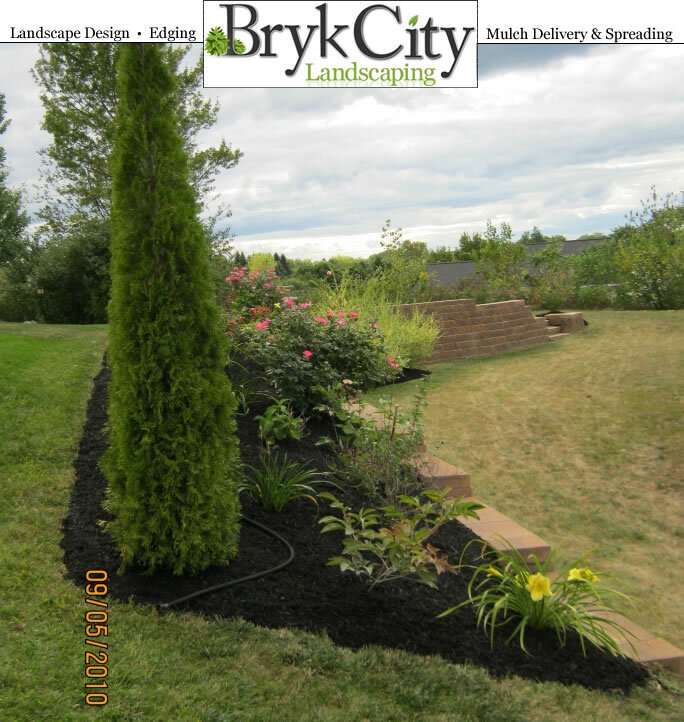 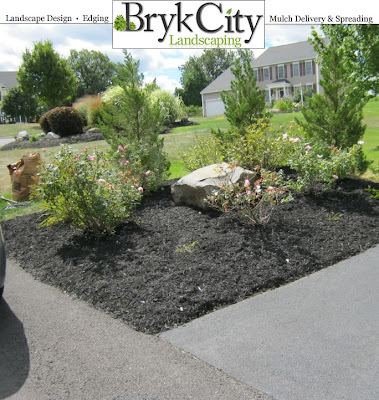 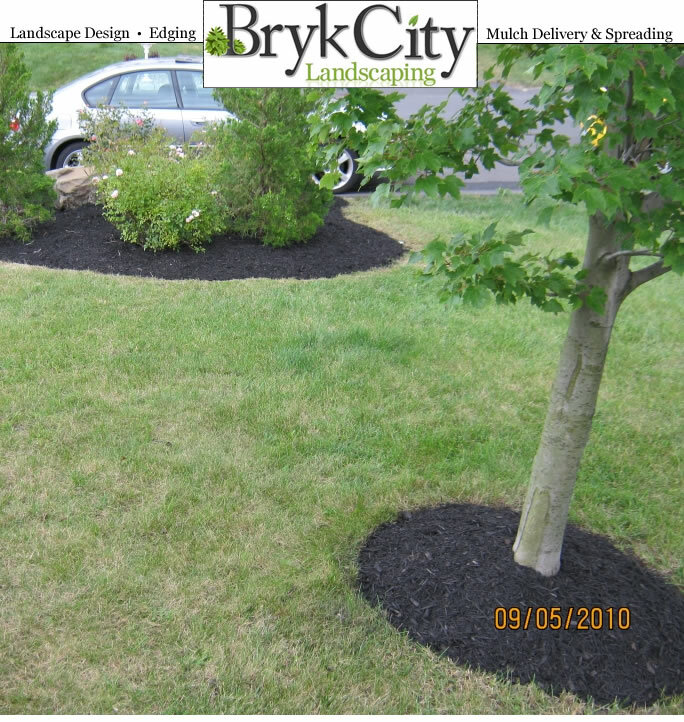 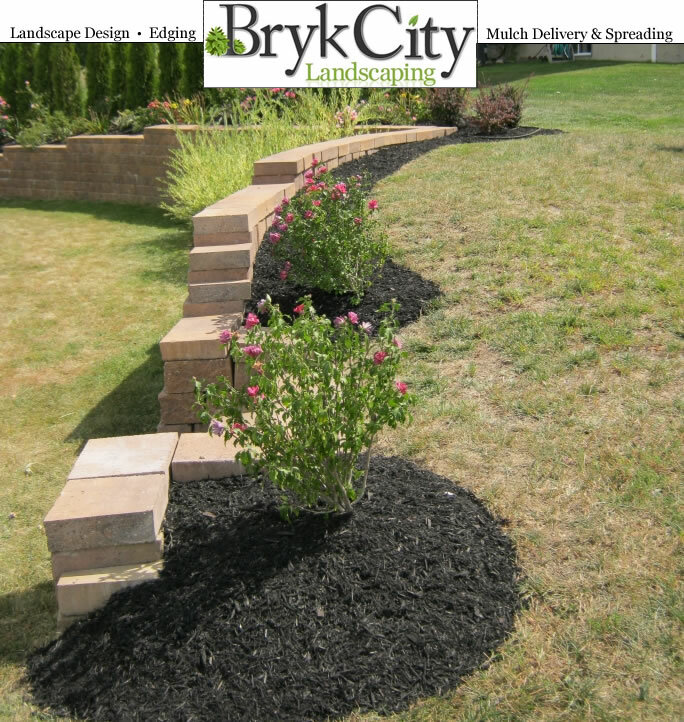 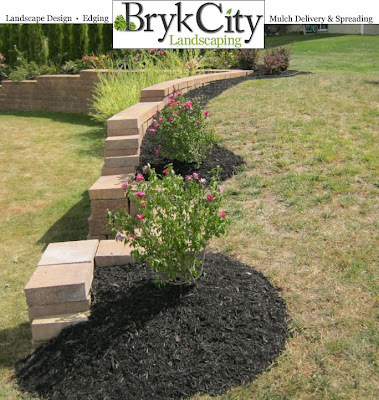 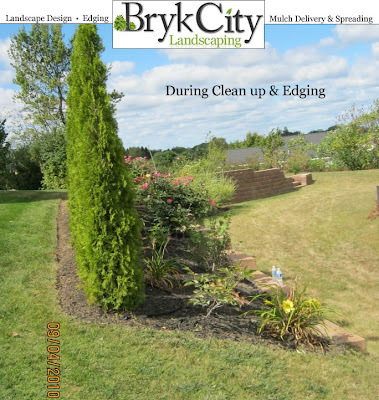 Below is a sample of the edging that we perform around any trees you wish. Pulled all weeds and dead foliage from the day lily's and rose shrubs. Below you can find the before image as well as the during and completed. 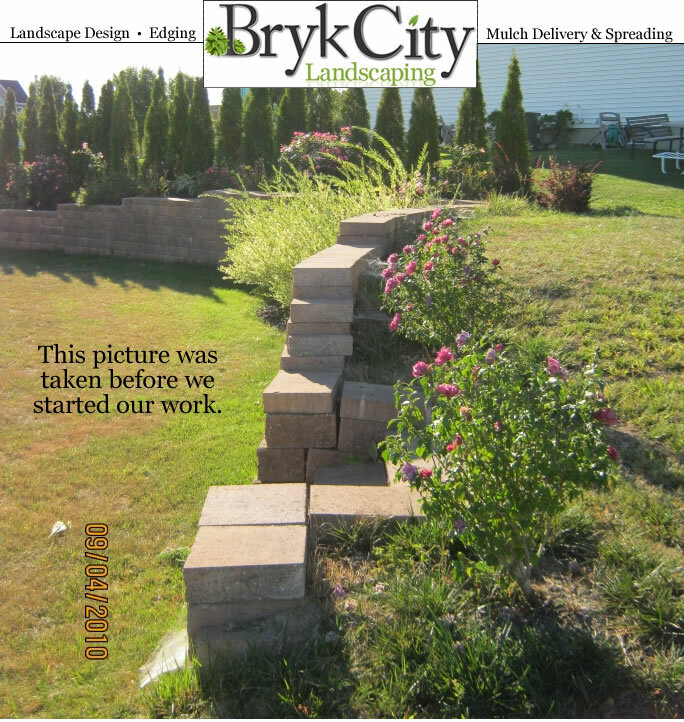 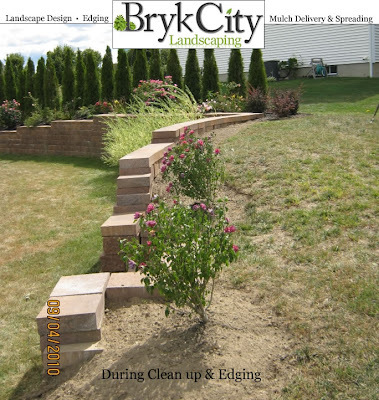 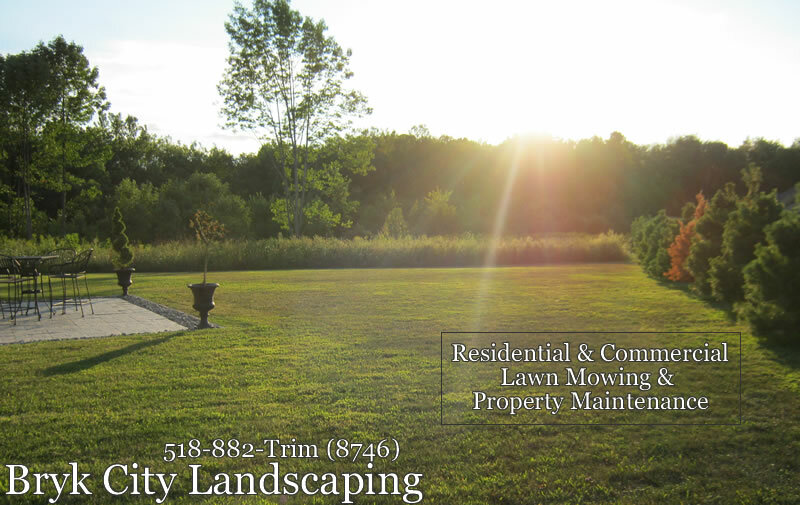 When we started the job there was grass growing all the way up the the retaining wall and around the rose bushes. 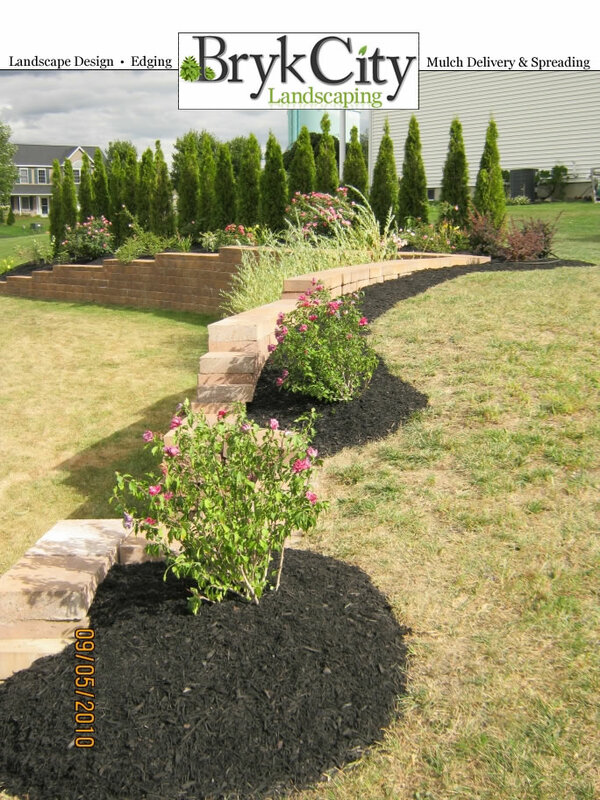 The customer wanted to connect the mulch bed to the opposite side of the wall.